This entry was posted in Blog and tagged new in philly, Philadelphia, philly restaurants, Phillyluxeliving, rittenhouse on March 7, 2019 by jamieraphael. Back by popular demand, Center City Restaurant Week will be celebrating it’s 2018 Fall edition September 23rd – October 5th. Over 110 of center city’s best restaurants are participating this year, including newcomers Porta, The Palm Restaurant and Casta Diva. Restaurant week offers the opportunity to try the best eateries in town without blowing your budget. Three-course dinner specials are being offered for $35 per person, while three-course lunch specials are only $20 per person. 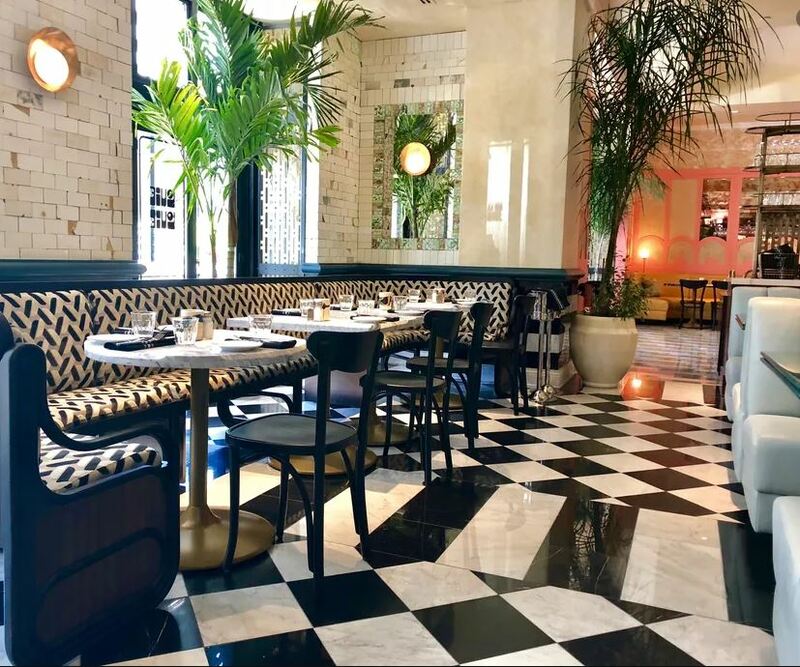 With so many alluring restaurants to choose from, making a decision can be difficult- see below for my personal recommendations for my favorite week in Center City. This entry was posted in Blog on September 21, 2018 by jamieraphael. 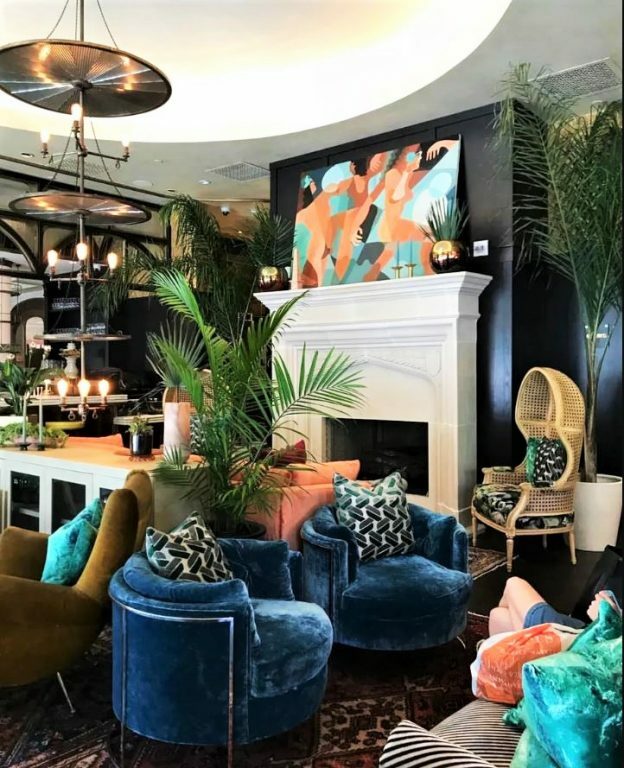 The newest bistro in town, Louie Louie, opened last month at the Hilton Inn at Penn bringing French-inspired food and an eye-catching color pallet to University City. Marty and Sydney Grims, the father-daughter duo of Fearless Restaurants, has ventured on to expand their take on American food with a French twist at Louie Louie. 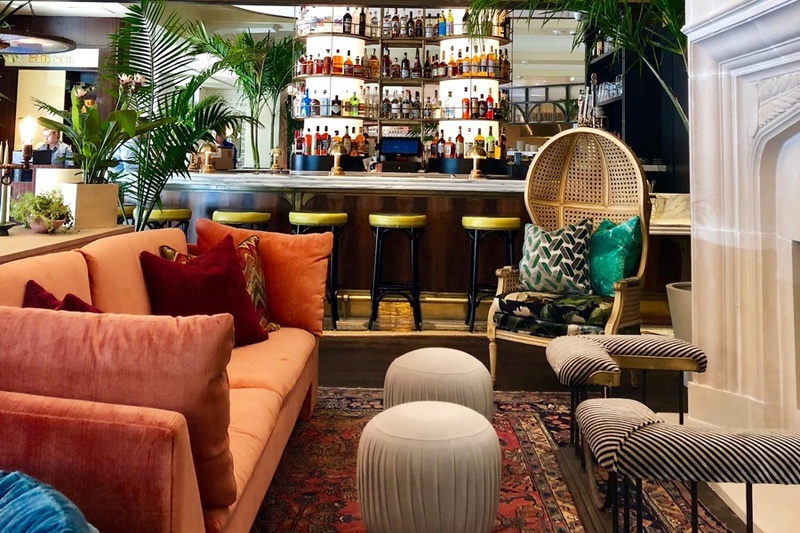 The team is best known for their restaurant White Dog Cafe, which now has 3 locations, as well as The Moshulu, Plantation Restaurant, Daddy O Restaurant & Hotel, Autograph Brasserie and Tuckers Tavern. The menu features French comfort food staples such as fresh oysters, steak frites, escargot and lyonnaise salad. While the food is sure to excite your pallet and send your mind to the shores of southern France, the ambiance is what truly sets this restaurant apart. 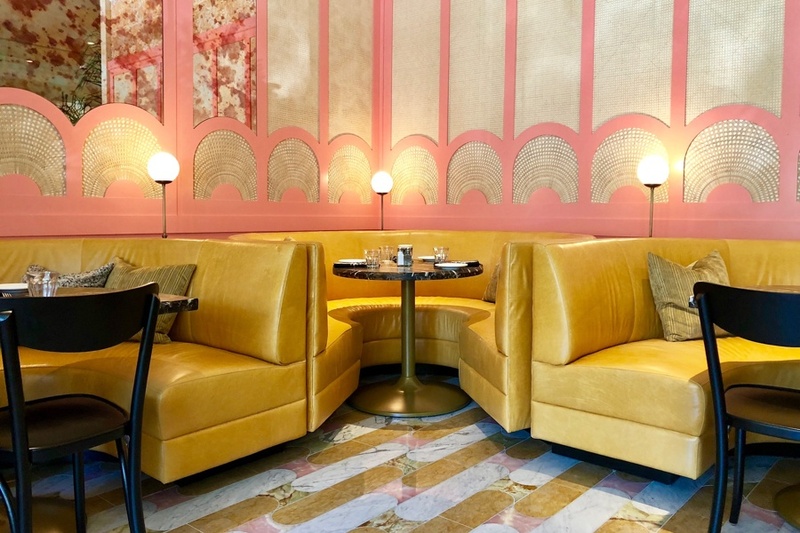 Designed by Kate Rohrer of Rohe Creative, Louie Louie embraces an Art Nouveau style featuring stunning black and white marble flooring, brightly colored velvet couches, brass finishes and visually enticing patterns. 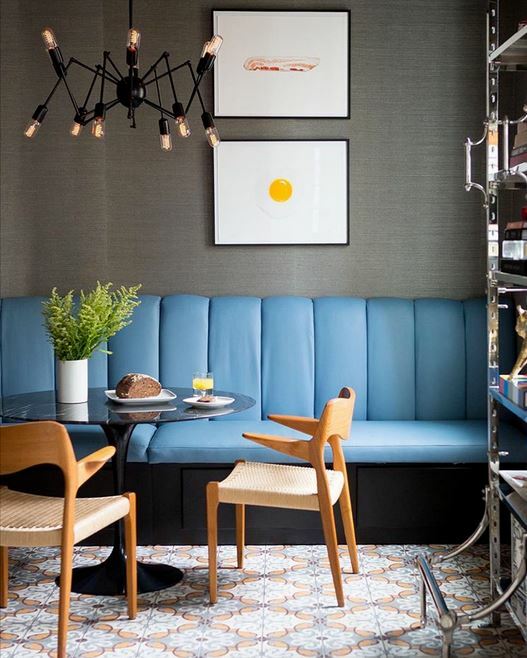 The 6,000 sq ft space offers seating for 160 diners, with 15 seats at the bar, 30 seats in the lounge and another 50 seats outside on Walnut St. Have your own French mini vacation by stopping into Louie Louie for lunch, dinner or a weekend brunch. This entry was posted in Blog on August 9, 2018 by jamieraphael. In 2018, we are all looking toward the future for the next exciting innovation but sometimes the most thrilling discoveries are those that remind us of the past. 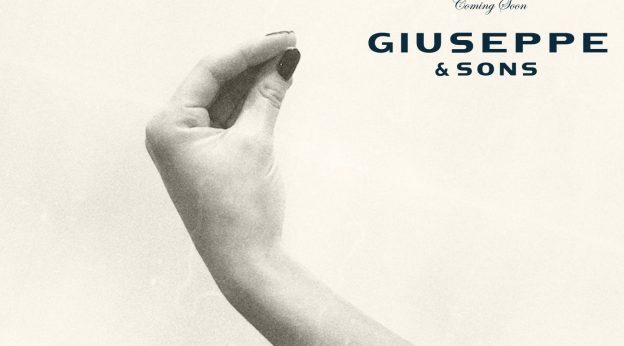 For those longing for a throwback in time to when food was made by hand, wine was sipped slowly and cell phones weren’t on the table, look no further than Guiseppe & Sons, the new traditional Italian restaurant opening in Rittenhouse Square. The new eatery, slated to open in late summer of this year, is a collaboration between Michael Schulson (of Double Knot and Harp & Crown) and the Termini Bakery family. Located at 1523 Sansom St, Guiseppe & Sons will host a similar layout to Double Knot, offering a bakery and take away food on the ground floor and a dining room for seated service downstairs. This powerhouse collaboration is a welcome new addition to the square. Visit https://www.giuseppesons.com/ for more information. This entry was posted in Blog on August 3, 2018 by jamieraphael. An air of excitement has been traveling through Rittenhouse Square ever since plans for the new ultra-luxe condo building, The Laurel, were announced earlier this year. The brand new building, slated to break ground in early 2019, stands prominently at the northwest corner of Rittenhouse Square. Like it’s namesake, the gorgeous state flower of Pennsylvania, The Laurel exudes classic beauty and modern elegance. The Laurel’s grand condominium homes include Sky Residences, Estate Residences and full-floor, customizable Penthouses ranging from more than 1,700 to nearly 9,000 square feet. Residents of the Laurel have access to a private, secure lobby and condos located between the 27th-48th floors feature private elevator access and unprecedented views. In addition to the top of the line details within each unit, The Laurel offers a seemingly endless list of services and conveniences throughout the building. A few of the lavish amenities include a heated indoor pool & spa, locker rooms equipt with showers, a sauna and steam room, yoga and Peloton studio, lounge with club bar and kitchen catering that opens to a sweeping terrace, fitness center, guest rental suites, an in-town car with chauffeur and even a pet spa to ensure that every resident is blissful and relaxed, even those on four legs. Although completion isn’t projected until sometime in 2021, we are excited to see everything this incredible building will bring to Rittenhouse Square. This entry was posted in Blog and tagged Philadelphia, Phillyluxeliving, phillyrealestate, thelaurel on July 27, 2018 by jamieraphael. Spring is just around the corner and with it comes the desire for bright, fresh, inspiring decor. 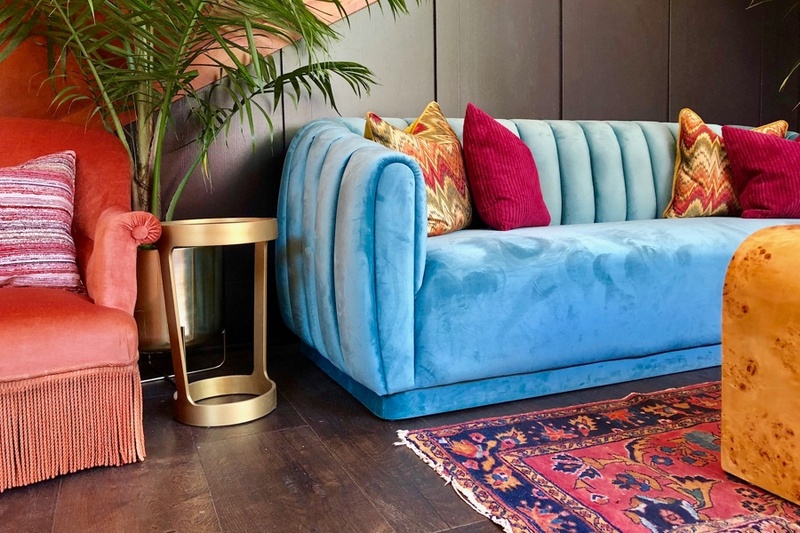 This season’s top trends have popped up everywhere- Circular shapes, brass finishes, and rich, jewel tones have been named some of the hottest trends in decor this Spring. Although inspiring, this information overload can also make you wonder, how do I put together a trend-forward space that fits my life and my budget? We sat down with the powerhouse design duo Kiley Baun & Betsey Helm, of Philadelphia-based Shophouse Design, to answer a few of our questions. Kiley Baun & Betsey Helm of Shophouse Design. 1. Spring is just around the corner and it seems that everyone is celebrating with vibrant, jewel tones. What colors do you foresee being the most popular in home decor this season? Right now, we are loving most shades of green. Using multiple tones throughout the space is fresh and cohesive. 2. What are the best home accents for creating a modern, yet inviting space? Timeless and classic pieces in light colors create a perfect backdrop for new more trend-forward pieces to be swapped in and out. A clean-lined sofa or chair with a textured blanket always looks inviting. A planted tree adds some cheer as well. 3. For those who don’t have a high budget for home decor, what on-trend pieces do you recommend splurging on? We suggest a couple of pillows in a designer fabric, or a statement throw blanket. A structural bowl for fruit or flowers goes a long way. Also a Diptique candle – the branding is so elegant and dresses up any space. 4. Patterns & Prints seem to be everywhere in 2018- What’s the best way to use them without overwhelming the space? If our clients ask to incorporate trends, we encourage them to try to stay away when it comes to the envelope of your home. We suggest adding them in with accents, like incorporating prints and patterns in accessories while keeping the envelope neutral. Some bold printed or floral pillows or a piece of art is a great way to layer some pattern into your home. 5. What are your personal favorite trends for Spring 2018? We are loving a slight return to 80’s design in the shape and structure of furniture we are seeing. Kelley Wearstler has some great new pieces that are a nod to the era but re-imagined in such a great way. This entry was posted in Blog and tagged centercity, decor, Philadelphia, Phillyluxeliving, RealEstate, rittenhouse, spring, spring2018, springdecor on February 16, 2018 by jamieraphael. The dreary colors of winter have been surrounding us for the past few months; Gray skies and falling snow may have you craving something bright, vibrant, warm and maybe even…spicy. 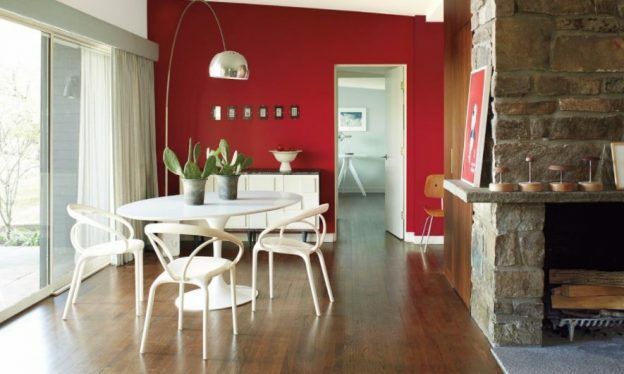 Enter Benjamin Moore’s 2018 color of the year, Caliente AF-290. The color of a deep summer sunset, an overripe watermelon, a classic car cruising with the top down, Caliente AF-209 is an exuberant burst of color that can bring life to any space. The past few years have shown a trend of cooler colors- In 2016 Benjamin Moore named their color of the year as “Simply White” and in 2017 the choice was “Shadow”, a deep purple color. This year, in a stark contrast, Caliente AF-290 is bringing a heartbeat back to home decor. From the perfect, eye-catching accent wall color to a front door that makes a statement, the application options are endless. This stunning color of the year has an even more beautiful complimentary palette, with shades such as “Stone”, “Smoked Oyster”, “Moonshine” and “Cherry Wine”. See the color palette below, as well as more info on Caliente AF-290. This entry was posted in Blog on January 27, 2018 by jamieraphael. For a modern take on American traditional. For fresh, inventive, Latin cuisine. This entry was posted in Blog and tagged center city, center city west, Philadelphia, Phillyluxeliving, restaurant week, restaurants on January 17, 2018 by jamieraphael. Candy collectors, costume enthusiasts and lovers of the macabre, rejoice- Halloweekend is almost here! With Halloween falling on a Tuesday this year, this upcoming weekend is the official Halloween weekend in Philadelphia. There is no shortage of Halloween events- In all corners of the city from Packer Park to the Northeast, West Philadelphia to the banks of the Schuylkill River, spooky events await you. This weekend’s events will kick off this Friday at the MISCHIEF party hosted by The Mutter Museum. Beginning at 6:30 pm and lasting until 11 pm- the open bar, snacks, DJ and their incredible collection of medical oddities are sure to put you in the Halloween spirit. A general admission ticket will get you into the party and grant you access to all that is offered at the event (including the open bar). Costumes are strongly encouraged but not required. If antique medical tools don’t get you in the mood for Halloween, stop by the Rittenhouse Row Halloween Celebration on Saturday from 10am-5pm. The local businesses of Rittenhouse Square are offering treats to all costume-clad patrons of any age. A similar event will be taking place simultaneously a few blocks south at the East Passyunk Fall Fest and Spooky Saturday from 11am-4pm. Similarly to the Rittenhouse Row Halloween Celebration, The East Passyunk Fall Fest will provide a trick-or-treating experience for everyone, including your pup. Beyond treats, the Fall Fest will be offering pumpkin painting, a costume contest for kids and dogs, food vendors and more. West of the river, Boo at Zoo will be taking place at the Philadelphia Zoo. Trick-or-treaters can experience a brand new take on candy collecting while strolling past tigers, bears and more, all included in a general admission ticket. This entry was posted in Blog and tagged east passyunk, halloweekend, halloween, Philadelphia, philadelphia zoo, philly, Phillyluxeliving, rittenhouse, west philadelphia on October 25, 2017 by jamieraphael. As we approach our second weekend of Fall here in the city of brotherly love, we are reminded of the intense beauty that comes along with autumn in the Northeast. Although the weather has been unseasonably warm for the past week, we are headed into a more fall fitting forecast for the weekend. What better way to embrace all that Fall has to offer than drinking cider while musing through historic landmarks? This Saturday, September 30th, the Ciderfest at the Historic Houses of Fairmount will take place all day but visitors are recommended to arrive by 11:45am to ensure time to take in the sites. Each of the six historic homes will have a correlating local cidery offering cider samples (listed below). The festivities continue with live music and food trucks throughout the area- you can catch The Carryons, Alison Polans, Joey Sweeney, Allen Krantz and more performing throughout the day. 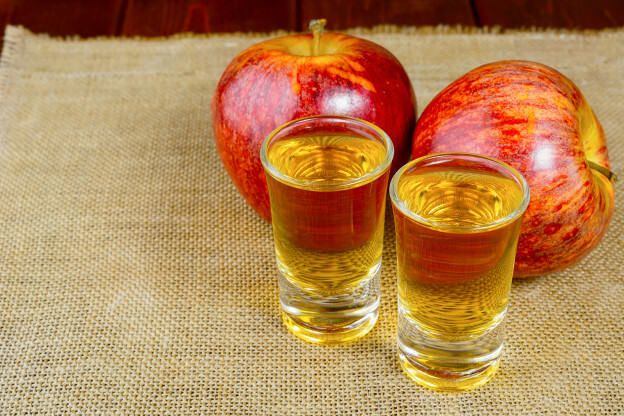 Access to the historic homes, cider sampling with a souvenir tasting cup and house-to-house transportation via Phlash’s CiderFest Loop are all included in the ticket price of $40 ($50 day of). A Saturday afternoon full of cider, history, food trucks and autumn sunshine…I can’t think of anything better! This entry was posted in Blog and tagged Autumn, CiderFest, Fall, FallinPhilly, Philadelphia, Phillyluxeliving, RealEstate on September 28, 2017 by jamieraphael. “High demand and low supply”. You may have heard that term describing a lesson in your college economics class, but now people are using that term to describe Philadelphia’s housing market. The appreciated value of houses in Philadelphia is up to 6.2 percent. That is almost 5 time the national average of 1.3 percent. 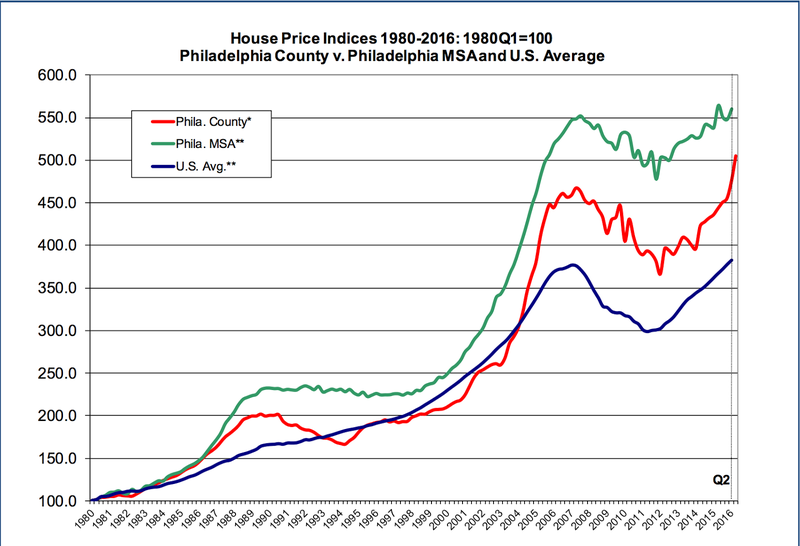 The report from Drexel University‘s Lindy Institute shows the upward trend of home prices in Philadelphia over the last 30 years. The average days on market currently is 53, which is comparable to the trends seen in during our last housing boom in 2006. Ever since the housing market crash 10 years ago, homebuyers have been told that it is a great time to buy a home. But for the first time in 10 years, it looks like a “helluva” time to sell one. This entry was posted in Blog on August 10, 2016 by jamieraphael. 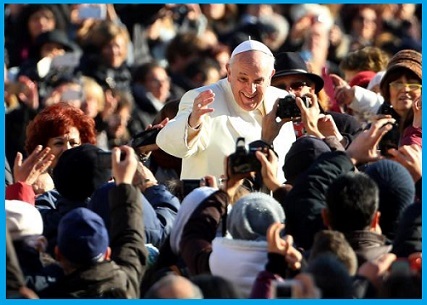 Philadelphia is undertaking tremendous efforts to host Pope Francis as he visits the City of Brotherly Love this September for the 2015 World Meeting of Families (WMOF). The Pope has confirmed he will be making his first visit to the United States during this event, which is held every three years in various cities throughout the world. Past WMOF host destinations include Rome, Mexico City, Rio de Janeiro, and Milan. Pope Francis is expected to visit Philadelphia from September 22nd to September 27th. Just one month after the Pope’s expected visit, Philadelphia will welcome His Holiness, the 14th Dalai Lama of Tibet. The National Constitution Center will honor the Dalai Lama with the prestigious 2015 Liberty Medal, which recognizes men and women who continually promote peace and liberty to those around them.The awards ceremony is scheduled for October 26, 2015 at 5:00 pm. Tickets will go on sale in September. With these two world-wide recognized events being held in Philadelphia this fall, it is best to plan transportation, schedules, and accommodations accordingly. Mayor Michael Nutter advises all Philadelphians to plan transportation “way ahead- and have a backup.” These are not events where you can expect to get in your car, park, and go. SEPTA expects to serve 650,000 to 700,000 people a day, especially for the Papal Visit, and Amtrak trains will require reservations ahead of time. It is a tremendous honor for Philadelphia to host these two spectacular, world-wide events. However, the commuters of Philadelphia must be aware of the impact these events will have on the city, transportation, dining, and hotels during these events. Philadelphia advises all to be aware, and plan ahead. This entry was posted in Blog on June 25, 2015 by jamieraphael. Speculation has been in the air for about a year now regarding rumors that Carlo’s Bakery was coming to Philadelphia. 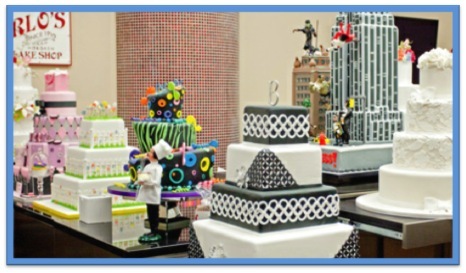 However, in January of this year, the owner himself, Buddy Valastro confirmed those rumors to be true. Drum roll please….. Carlos Bakery is now open in Philadelphia! The bakery replaced the former Hollywood Tans parlor at 2101 Walnut Street. This is Carlo’s Bakery’s 10th location, and the 4th shop out of New Jersey. The bakery is known best for being on one of TLC’s hit shows Cake Boss. The brand name is known for their large, unique menu. The company is known for satisfying large, creative, and sometimes ludicrous requests from their customers to provide for a variety of events. Carlo’s Bakery now being opened in Philadelphia will satisfy its special events industry, and high-end customers here in the city. The store itself will be very popular for any Philadelphia resident looking to satisfy their sweet tooth. In the meantime, the family is managing its new location, while being in the midst of taping a new season of Cake Boss on TLC. This entry was posted in Blog on June 15, 2015 by jamieraphael. 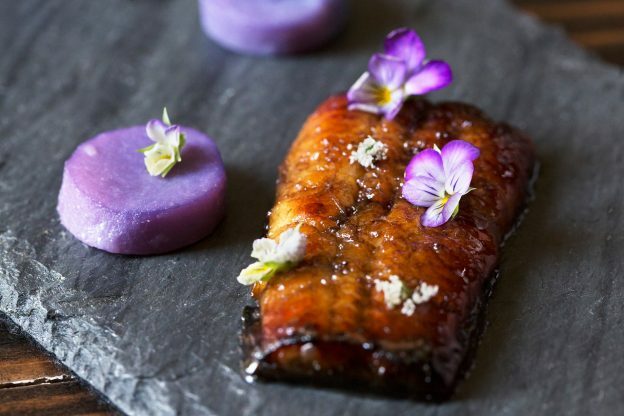 Laurel was the restaurant that was ranked #1, and won Philadelphia resident’s hearts in 2015. The restaurant owned by Top Chef winner, Nick Elmi, and is located Passyunk Avenue. Diners of this restaurant claim that the chilled tuna is the most fabulous dish. Fork follows a close second to Laurel and is known for its country’s best breadbasket. Vernick Food & Drink, which is a neighborhood favorite, was named #3, and is known for its high-end New American cuisine. Let’s face it, in Philadelphia we thrive on our source of top notch, fabulous restaurants. Make sure to check out not only these well-deserved restaurants, but also all dining that Philadelphia has to offer. It doesn’t matter who you are, or where you come from, if you hear anything involving food, your eyes will light up. Phillymag has provided a list of this summer’s not to be missed Food and Drink Events. University Dining Days will be celebrating its 11th year returning to Philadelphia, offering the celebrated promotion, “3 courses, 3 prices.” The event is being held from July 16-26. All participating restaurants will offer selected menu entrees at three fixed prices, making it affordable, and satisfying for everyone. 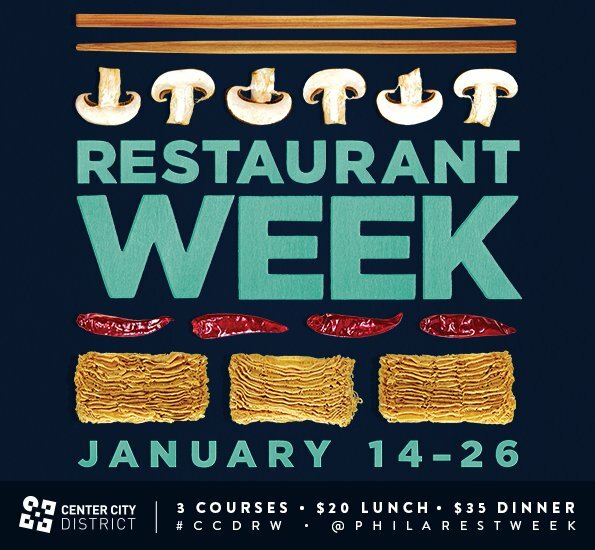 Just a friendly reminder that Center City District Restaurant Week will be held this August as opposed to September on account of the Pope’s anticipated visit to Philadelphia. All participating restaurants will offer three-course dinner options for only $35 a person. Please check to see if your favorite restaurants will be participating! The Tall Ships Festival Waterfront Beer Garden is Philadelphia’s next scheduled event in June, which will feature some of the largest and renowned ships from around the world. Another fabulous feature of this great event is that Drink Philly and Independence Seaport Museum have partnered together so you can experience some of the best local brews, while enjoying spectacular views of the ships. Please make sure to mark your calendars with these great foods and drink events that you do not want to miss out on!